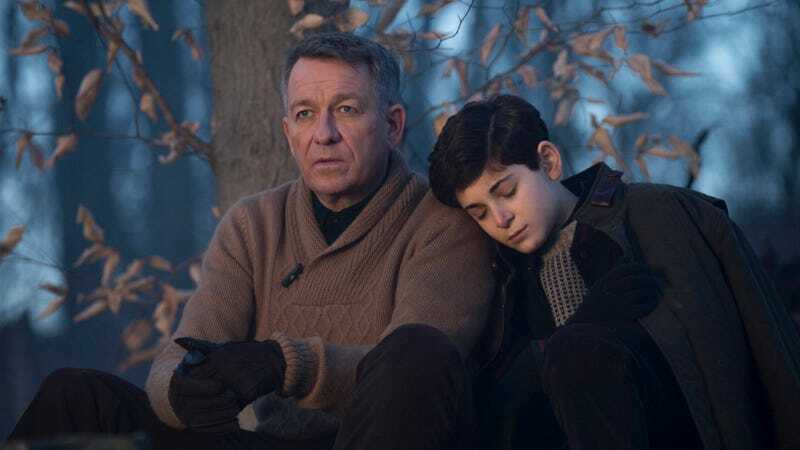 Sean Pertwee as Gotham’s take on Bruce Wayne’s blood-soaked, born killer butler Alfred Pennyworth. Fox’s baby-Batman series Gotham has always had a complicated relationship with its comic book source material; from the start, the show’s more overtly cartoony (and enjoyable) elements, like Jada Pinkett Smith’s late, lamented Fish Mooney, contrasted wildly with the dour, serious crime show it seemed to have aspirations of being. Now that attitude is apparently making its way over to the show’s butler-based sort-of prequel series at Epix, too, with Pennyworth executive producer Danny Cannon noting, with apparent glee, that most of the test audiences he’s shown the series to don’t even realize it’s a DC-based show. The series stars The Imitation Game’s Jack Bannon as Alfred, a former SAS soldier who ends up starting a security company with uber-rich doctor (and future permanent traumatic flashback star) Thomas Wayne. The show won’t have access to Batman’s rogues gallery, but will apparently see the pair face off against “archetypal villains and classic villains of British literature,” so anybody who had “Batman’s butler shoots Professor Moriarty’s granddaughter in 1960s London” on your 2019 TV Bingo Sheet, hey, good news: You’re a winner.